You are here: Home » Minions in the buff! 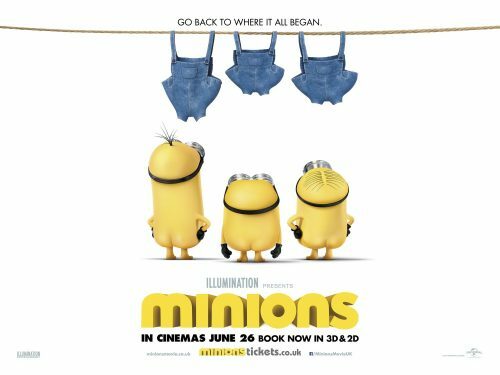 Naked minions! Not a start of a blog I would expected to have written when I started this blog all those years ago. This has now changed! The new poster has just appeared and it’s as silly as the rest of the campaign! What would you expect from the cute, small, yellow things! The trio embarks upon a thrilling journey that ultimately leads them to their next potential master, Scarlet Overkill, the world’s first-ever female super-villain. They travel from frigid Antarctica to 1960s New York City, ending in mod London, where they must face their biggest challenge to date: saving all of Minionkind… from annihilation.